The Boone County Fair is the highlight of the year for many 4-H and FFA members. Whether it is exhibiting their static exhibits or livestock projects, the County Fair is an opportunity for the youth to showcase a years worth of hard work. 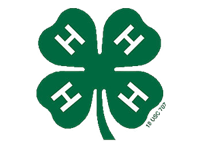 For details about joining or exhibiting in 4-H or FFA, visit their websites by clicking the emblem below.